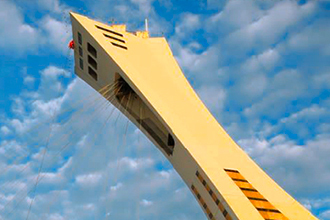 Measuring 165 metres high with a 45-degree angle, the Montréal Tower is the tallest inclined tower in the world. You can find a picture of the Montréal Tower in almost any tourist guidebook to the city, including the Michelin Guide. It is a must-see for visitors, Montréal’s symbol on the international scene and a reminder of our exceptional Olympic site. 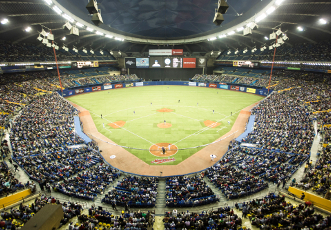 The Olympic Stadium is the largest covered amphitheatre in Québec, with seating for 56,000 spectators. Since it was first opened in 1976, the Stadium has welcomed some 66 million visitors. It has become the international symbol for Montréal. 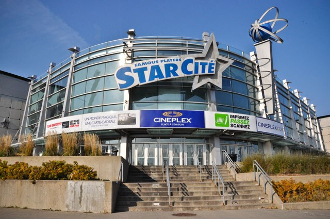 The Stadium hosts a wide range of events and concerts. The Esplanade’s outdoor space is the perfect venue for holding big and small events alike. It is made up of nine surfaces of varying sizes spread across four levels. The Esplanade’s programming is incredibly diverse, with a wide range of outdoor activities available all year long. 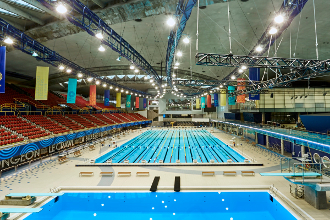 The Sports Centre is one of North America’s most stunning and successful multi-sports complexes in North America, offering a superior sports experience. The state-of-the-art installations are accessible to everyone, and include a gym, pools, fitness rooms, and café-boutique. The Centre is an incubator for athletic talent and an ambassador for healthy habits for everyone. 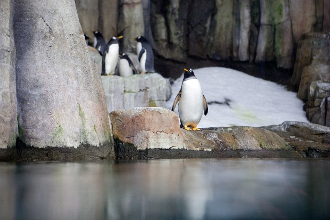 A voyage that will take you from the lush Tropical Rainforest to the penguins in the Sub-Polar Regions, with stops in the Laurentian Maple Forest and the Gulf of St. Lawrence. Keep your eyes peeled… The animals are free to come and go and you’ll sometimes see them in some surprising spots! 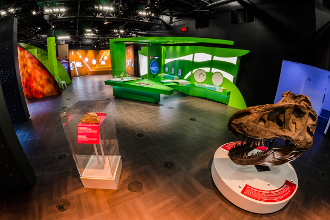 A real trailblazer in its field, the Rio Tinto Alcan Planetarium is redefining the very essence of this kind of attraction, with its innovative and unique approach to astronomy. It houses two theatres for two different yet complementary experiences: one focuses on scientific interpretation of the Universe, while the other takes a poetic and artistic approach. 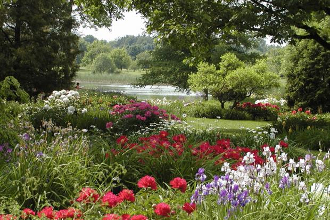 This jewel in the city’s crown, founded in 1931, covers 75 hectares and features 10 exhibition greenhouses, some 20 thematic gardens, a vast arboretum, the Frédéric Back Tree Pavilion and 3 exceptional cultural gardens: the Chinese Garden, Japanese Garden and First Nations Garden. Enjoy a colourful lineup of activities! 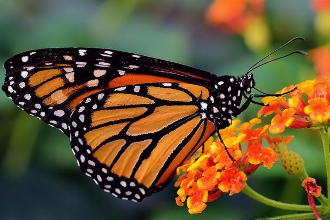 With some 250,000 live and naturalized insect specimens, the Insectarium is always a hit with children. The ant nest and many carefully designed showcases, vivariums, and displays offer a fascinating view of the world of insects, misunderstood creatures that are actually Nature’s champions. 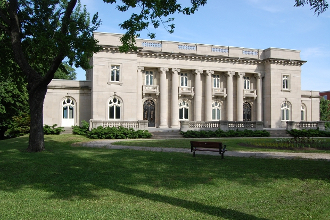 Built between 1915 and 1918, the Château Dufresne is a wonderful example of beaux-arts architecture—a style that was popular among upper-class French-Canadian families. The Dufresne brothers’ mansion offers visitors many surprises, including a variety of styles, materials and modern domestic installations. Discover sitting rooms, halls, an Oriental smoking room, studies, and the winter gardens. The museum is located at the corner of Pie-IX boulevard and Sherbrooke street. 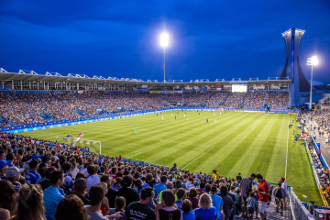 Stade Saputo is home to the Montreal Impact, a Major League Soccer team. This outdoor stadium can seat 20,801 fans. It’s located on Olympic Park grounds near the corner of Viau and Sherbrooke streets. Centre Pierre-Charbonneau is a multidisciplinary complex that’s managed in partnership with the city of Montréal. The Centre was opened in 1960 and is now a site for a wide range of recreational, sports and cultural activities. 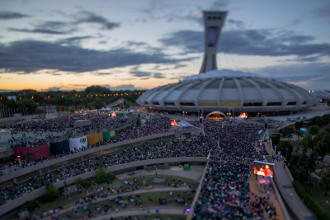 It is located on the grounds of the Olympic Park, near Viau street. This amphitheatre was inaugurated in 1961 and hosts numerous sports and cultural events every year. 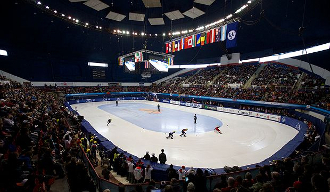 It houses an international-sized ice rink (30m X 60m). 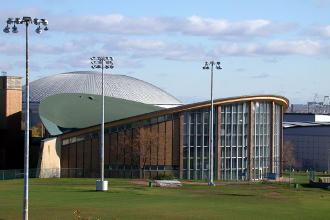 The building’s circular shape and rounded forms make it a unique piece of architecture in Montréal. It is currently used as the Short Track National Team training centre. This multiplex cinema offers 17 screens, including a 3D screen. It specializes in new mainstream movies as well as French blockbusters.